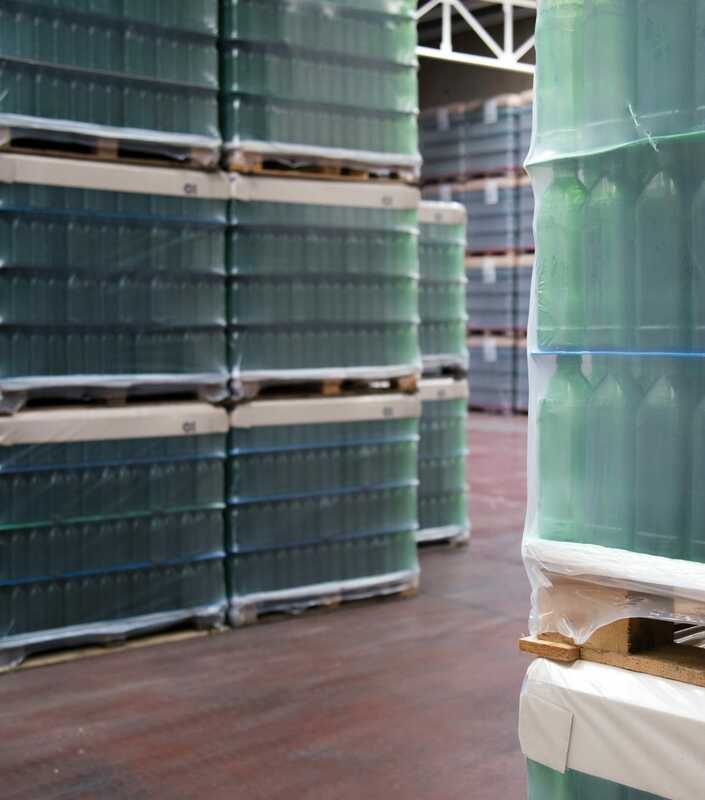 In these conditions both glass and PET bottles are ideal as well as cans. Color is not a sign of quality or inappropriate storage in itself. 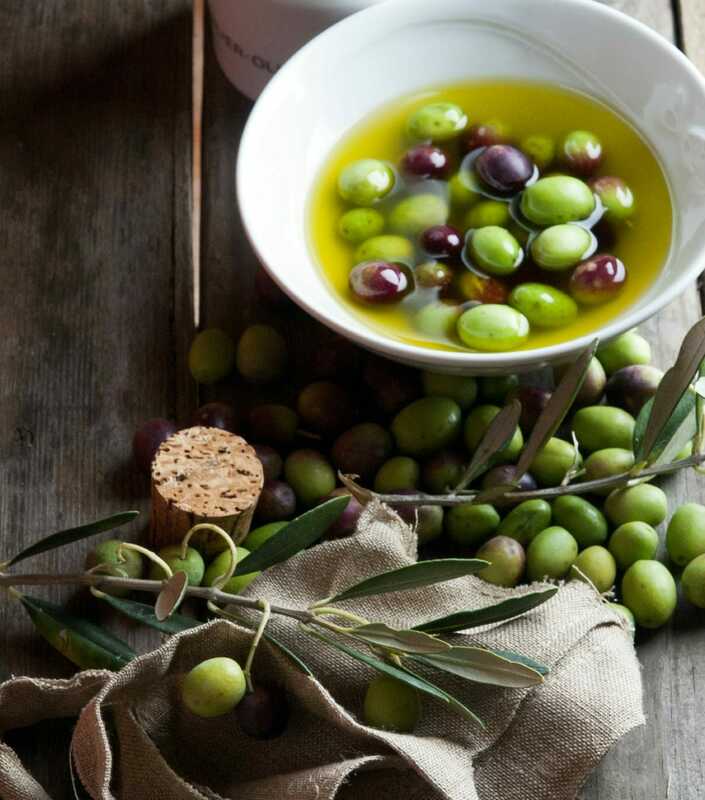 Different shades of green – ranging from the brightest to the most opaque, and more or less intense yellowish highlights reflect different olive varieties, the extraction process used, the ripeness of the olives and the area the olives were grown in. The only color which indicates bad oil conservation and thus deterioration is reddish highlights because these are caused by chlorophyll breaking and the presence of beta carotene. 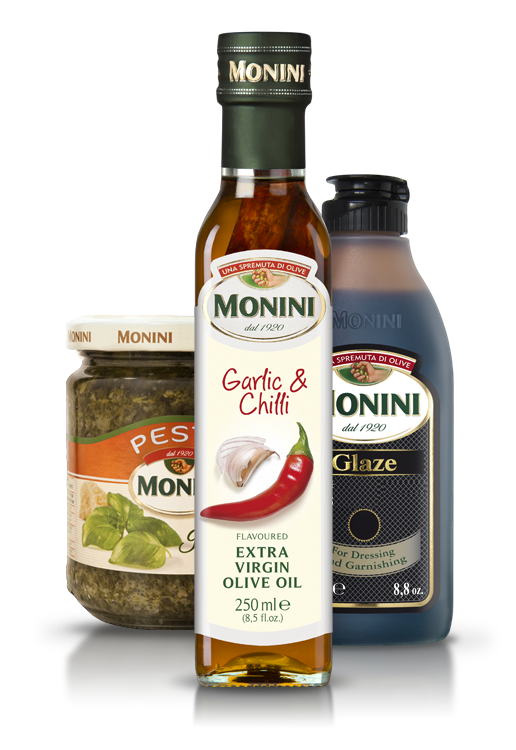 All our passion and expertise goes into the search for a blend with the inimitable flavour of Monini oils. We pay careful attention to maintaining the flavour and quality characteristics of our extra-virgin olive oils constant through time. In any event, minor differences in flavours are possible because oil is a natural product. If a single production lot contains two bottles with markedly different flavors, on the other hand, it is due to good or bad storage. How can a quality oil be sold at such a affordable price? 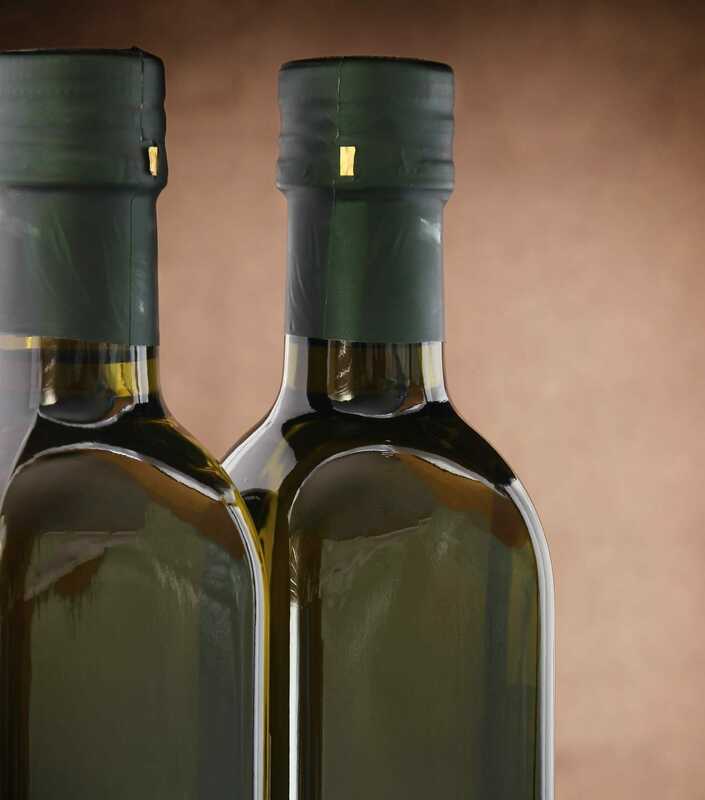 Extra virgin olive oil’s key role in the Mediterranean diet and its popularity are both contributing to a growing demand as compared to other condiments. 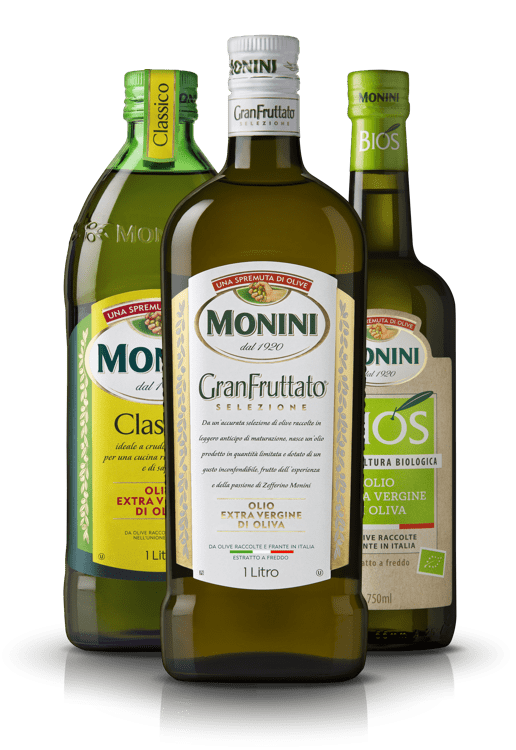 It is important to underline that every single bottle of Monini olive oil contains the same top quality product and unmistakable flavour ensured by a three-generation expertise. However, outside of the promotional sales context, consumers are best advised to select a slightly more expensive extra-virgin olive oil as a guarantee of higher quality, better flavour and higher health and safety standards. 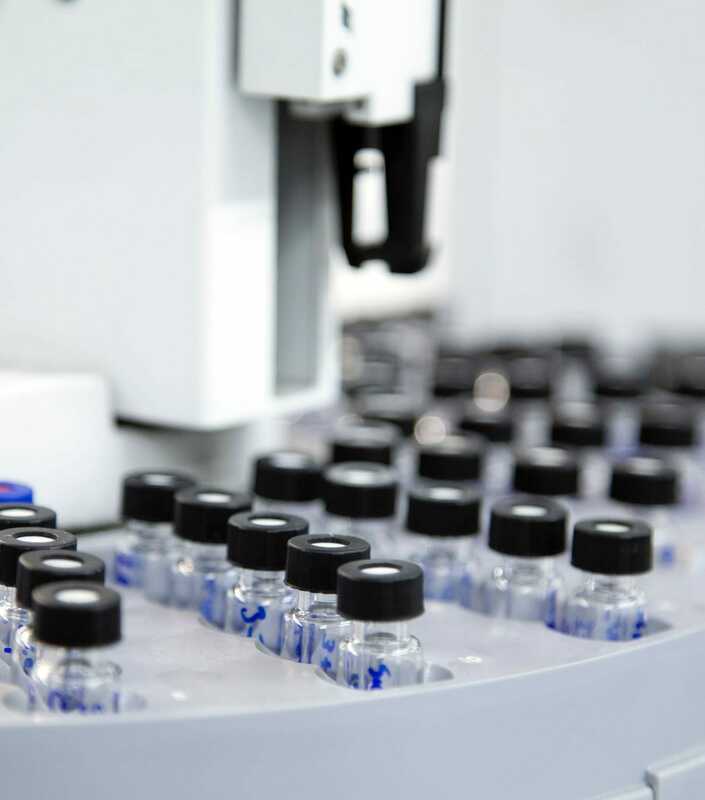 It begins with the analysis of samples, and goes on with tests on the oils before and after bottling. Monini’s attention to quality is also validated by many independent European tests (chemical analyses and tasting) done over the years by prestigious consumer magazines and TV reports including, Altroconsumo in Italy, Kassensturz in Switzerland and Que Choisir in France. Monini products have always ranked among the best in these independent tests and have often been nominated ‘the best in the test’. Tasting is a way of distinguishing aromas and flavours of extra virgin olive oil. Experts use it to judge oil quality but anyone can learn to do it and discover their favorite oil. 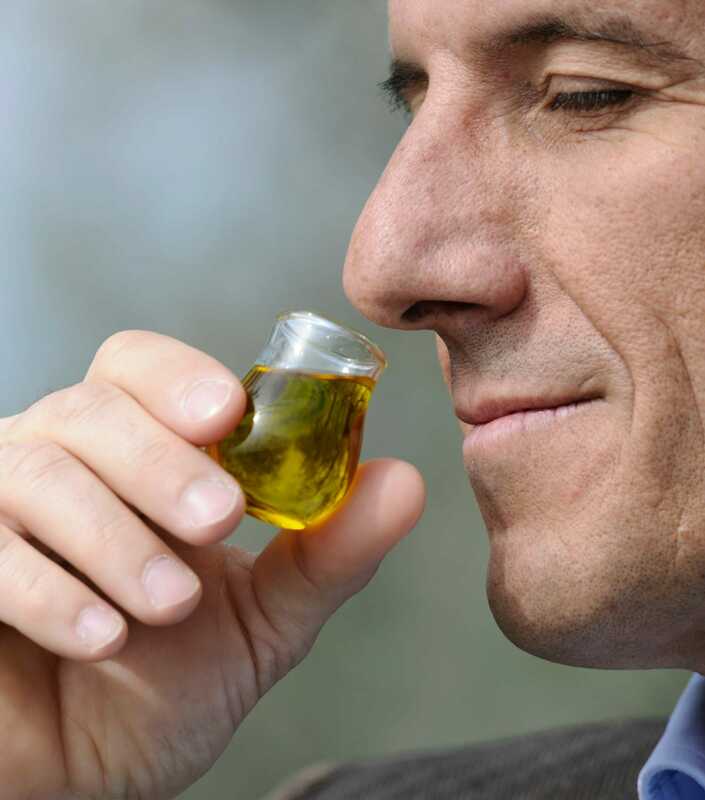 Just like wine tasting, oil tasting is an experience which involves our smell, taste and sight. Take a little sip of oil but don’t swallow it. Keep it between your lower lip and your teeth, letting it wash over your taste buds. Breathe through your mouth, taking deeper and deeper breaths to get a feel for its density and, lastly, breathe out so that the atomized oil releases further aromas and flavours. Extra virgin olive oil’s main virtues are hints of bitterness and sharpness, fruitiness, floral and herb aromas and notes of almond, wood and tomato. Sour or vinegary flavours are definitely defects, as are moldy or earthy smells and rancid or musty odors. How ripe are our olives when they're picked? The right degree of ripening is different for every olive variety and this ensures that the resulting oil has the best fragrance and flavour. A single olive variety can also produce extra virgin olive oils with very different aromas and flavours depending on how ripe it was when it was harvested. Less ripe olives – full of vitamins and anti-oxidants – give smaller quantities of rich in flavour with a hint of bitterness, evidence of high quality. Riper olives, on the other hand, give less intensely green, more yellowish oils and a more delicate flavour. Monini does not use over-ripe olives or those which have already fallen off the tree. Our extra virgin oil product range includes oils made from olives picked slightly in advance, such as our GranFruttato, and olives milled when totally ripe, like our Delicato. Where do the oils used to make our products come from? 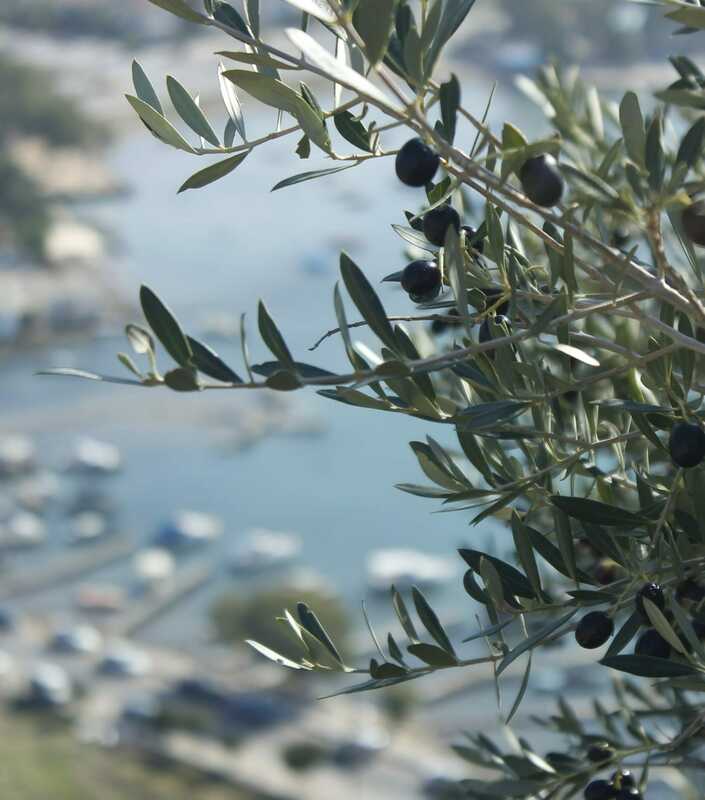 The oils we use for our products come from Italy, Greece and Spain, three Mediterranean countries with an age-old olive oil making tradition. Today Italy makes less than a third of the country’s yearly extra virgin olive oil consumption, to say nothing of the great demand for Italian products abroad. This means that we buy top quality extra virgin olive oil from Greece and Spain, too, to satisfy product demand from Italy and the other countries we distribute to. A further factor in this decision is natural climate variations which make it impossible to forecast harvest volumes with any degree of certainty. Sometimes it is precisely these foreign oils which enable us to make our product range for both Italian and international consumers, as was the case with the challenging 2014 vintage. To protect our consumers even further, at Monini we also check that products sent around the world respect restrictions in the countries they’re sent to as well. Italian law requires to show the origin of the olives on the label and the way they have been worked, where this differs, on every bottle. If a Monini product label says “Made from olives harvested and pressed in Italy” or “100% Italian” it means that the oil in it comes entirely from Italian olives while “Made from olives harvested and pressed in the European Union” means it was made from Italian, Greek and Spanish olives. We will never tire of reminding consumers that Origin is no quality guarantee, because an oil is good when it is made well. 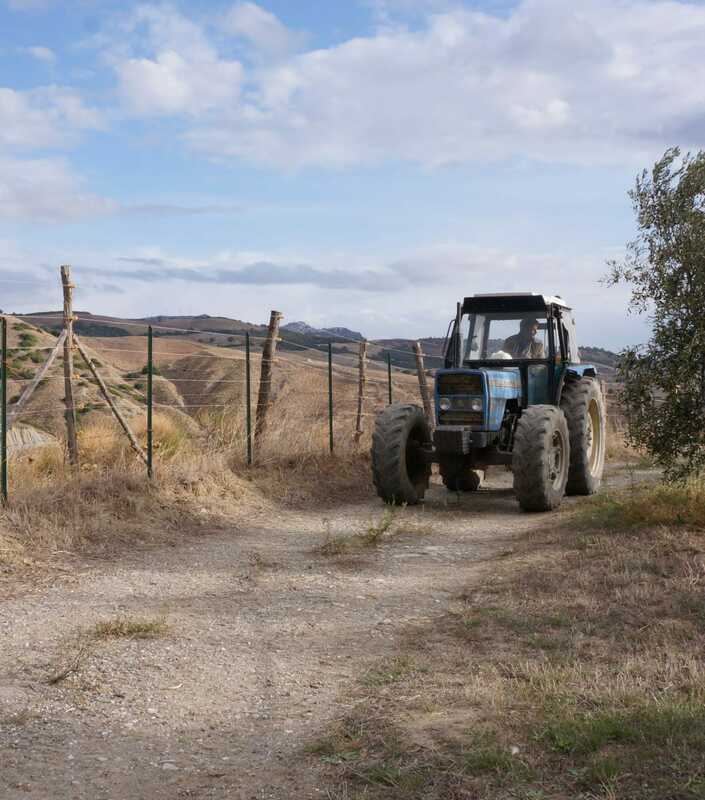 Backing this up – not without a touch of regret about Italy’s recent lost growth opportunities – is the fact that over the last twenty years Spain has invested heavily in olive growing, planting countless hectares of olive groves whose growing, pruning and harvesting methods are avant-garde, rational and mechanized. This modernization work has both increased production volumes, as compared with Italy’s, and lowered labor costs. How do we choose our suppliers? Naturally, maintaining the quality of our olive oils constant over time begins with raw material selection. The high standards we adhere to require us to only use oils pressed within 24 hours of harvesting. 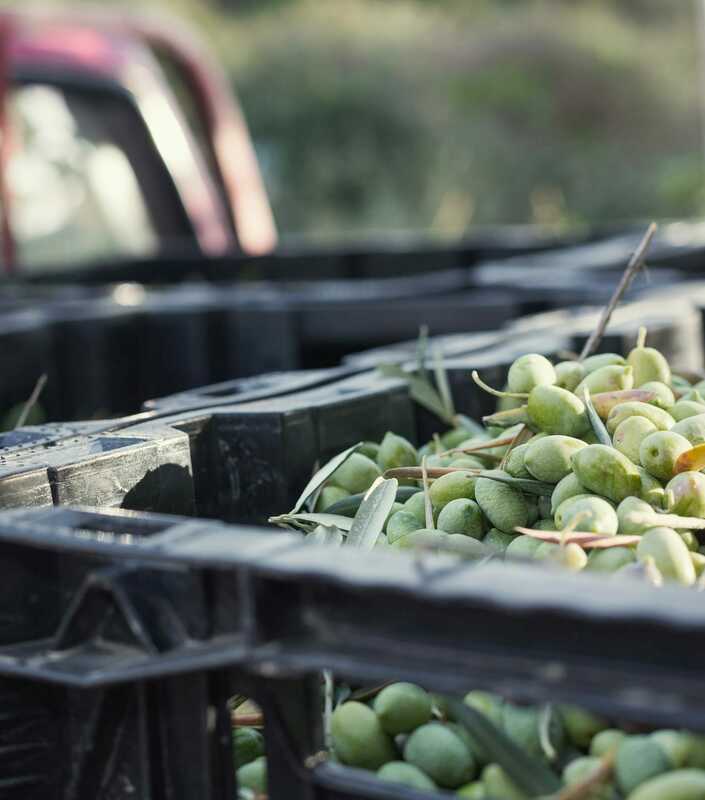 This means that our suppliers agree to pick the olives, press them in situ within 24 hours and bring us an oil which is already selected and certified.